It is a sad fact of life that if you invent something wonderful like the modern internet that there will always be someone or several such people who try and spoil the fun for everyone. We call these people (when feeling polite) hackers. All websites are potential targets for hackers, whether they are small unused sites with little or no security or the largest internet players. Sony, an extremely well known and respected company recently got hacked even and there seems to be no pattern to these often mindless attacks. Believe it or not, it has even happened to us when we first set up however that only served to give us more knowledge of the subject and the ability to now offer full malware and virus detection and removal service to you. Don’t be fooled, while we are philosophical about it now and have significantly more sophisticated protection in place that we did in those early days we were hopping mad at the time. 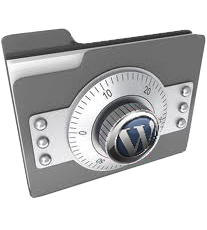 It is essential to maintain security that your site is up to date with regards to all the software packages used and any plugins and extensions that the site has in place. It is also important to have the latest version of your content management system installed. This is yet another task for a business owner which is why many now out-source the running of their website and especially the security to people such as ourselves. Unfortunately the nature of the beast is to be determined and occasionally hackers are able to break through. When a site gets attacked it will initially be shut down by the hosting company and a notice put onto your site as well as being “blacklisted” by Google. 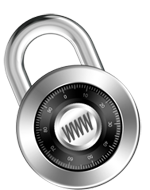 We can offer the removal of the blacklisting and removal of any malware and virus. Not only is this downtime inconvenient, it cost you money. Any time that your customers are unable to see your website, contact you about services or buy products is lost money. In addition to this you want your customers to be confident in your abilities, and this includes protecting their personal details. A blacklisted website that has been hacked is hardly inspiring so we work to eliminate risks before it gets to this stage. As well as having top security, the website “uptime” is also important and Google looks at this to establish the reliability of the site. We recommend all our sites to have a downtime notification to let us know when your site is down, this is very handy if you rarely look at your site and only notice that you have been getting a lot fewer emails than previous days. With the internet constantly evolving hackers are finding new and inventive ways to infiltrate websites and basically ruin your day. Usually any damage done by these websites is minimal (usually – sometimes it can take days for some companies to recover if they haven’t made regular back-ups of their site) however the inconvenience alone is not something that you should have to deal with so we will put in place what is needed to help you secure your website.